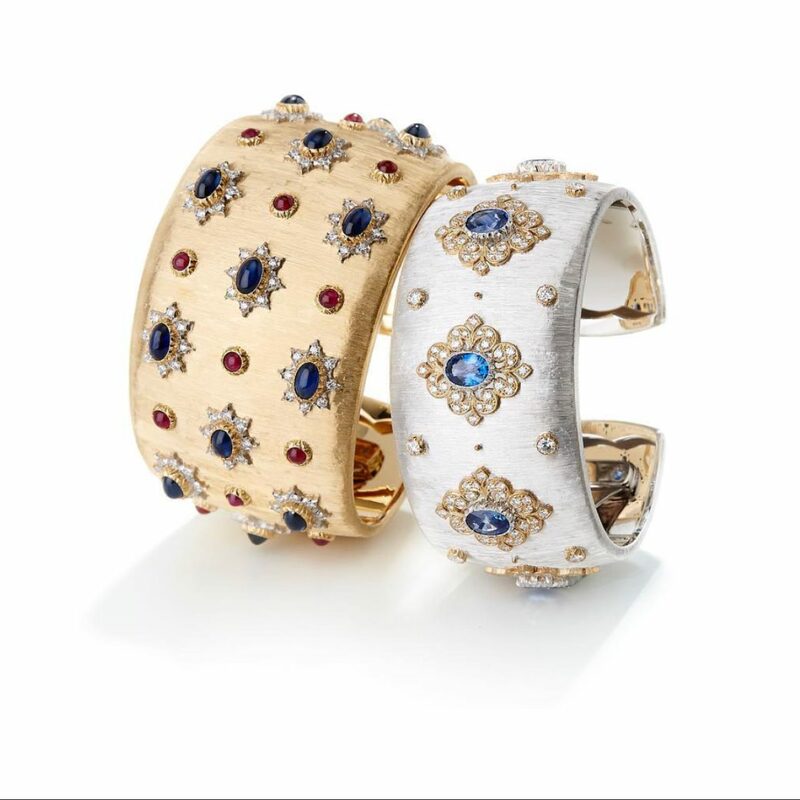 The Dream Bracelets collection by Buccellati embodies the label’s expert craftsmanship and dazzling creativity. Their simple design hides the meticulous expertise behind these high jewelry pieces. These cuff bracelets are available in white or yellow gold with a fabric-like texture. They are superbly adorned with diamonds, sapphires, rubies and other glistening gemstones for a final touch of timeless elegance.